Your business operates in the real world, interacting with real people while solving real problems. Customer validations help you align your solutions with the problems of your customers. Once your business begins offering products or services in exchange for something, your business is no longer just in your head. I believe that nothing is more important than customer validation. Whether your business is looking to release a new product, or pushing the need for an existing service. In fact, I would be so bold to say that customer validation is more important than your product. 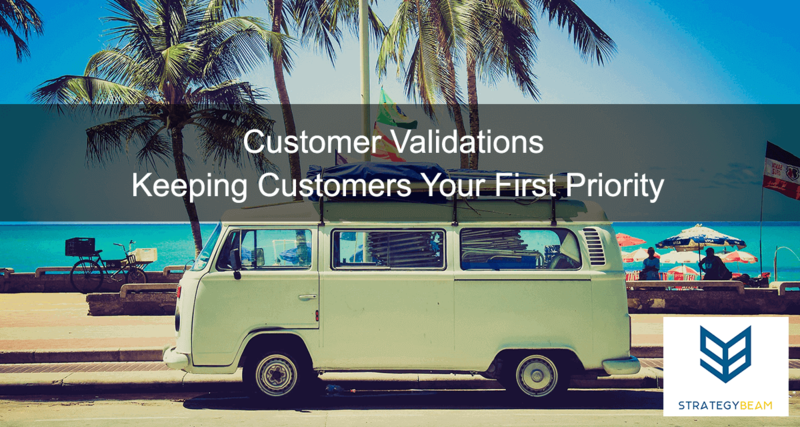 I say this because customer validation puts the needs and problems of your customer first. I am a big fan of User Personas and all the benefits they bring to improving business operations. User Personas are just a projection of real-life people as you expect them. Validating the desires and expectations of your customers seek allows you to make sure there is a problem before developing a solution. Finding a problem is pretty cheap compared to developing a solution just to find your assumptions were off. Solving the problems your customers have been where your business makes money. You just need to put a little energy into finding that problem. It’s far easier to start by searching for a problem your audience experiences and then build a solution based on that existing problem. I have been with a business that dumped a lot of money into a product’s design and development. In turn, that business spent all that time, money, and resources to create a solution that did not have a problem. You’re going down a slippery slope if you make assumptions about your audience. Usually, these assumptions guide business decisions, and often they are wrong. Your customers are experiencing problems that you hope to provide a solution to. If you don’t understand your customer or their problems through validation, then how can you think you can offer a solution that is adequate to their needs? Take the time to go through customer validation, and you will be amazed by what you find! Now it’s your turn. How do you validate the assumptions you have about your customers? Let me know in the comments below!